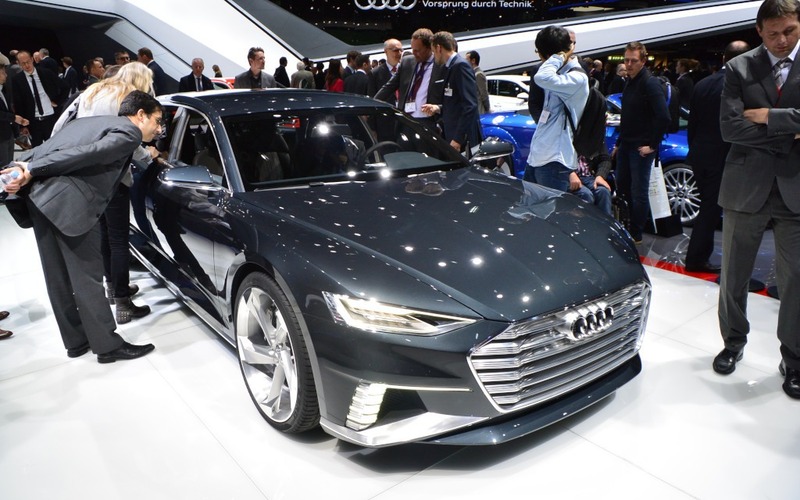 This year's Geneva International Motor Show is shaping up to be full of beautiful wagons: after witnessing Kia unveil their SPORTSPACE concept, we can now marvel at the Audi Prologue Avant Concept, an estate version of the Prologue concept that was launched last year. This sleek-looking car is a prototype for now, but Audi already has already shown us a few different versions of the Prologue Concept, which has been created as an indication of where the brand's designers will go, styling-wise. If the Prologue's size is any indication, we can expect the new A6 to be modelled after it. Following this logic, the A6 Avant should look like the concept shown above. Since the next iteration of the A6 is due in 2017, this wagon could hit our roads as early as 2018. We can't wait to see more of this concept, which will be shown at the Geneva Motor Show early next month.